Calling all academic economists: What are you teaching your students? But, happily today, some academic economists are discovering that their discipline is not really a “dismal science”, but a subject of beauty, elegance and relevance, if it was to return to its original roots, moral philosophy amid issues and questions of broad significance involving the fullness of human existence. More economists are now realising that the focus of economics should be on the benefit and the bounty that the economy produces, on how to let this bounty increase, and how to share the benefits justly among the people for the common good, removing the evils that hinder this process. Moreover, they are noticing that economic investigation should be accompanied by research into subjects such as anthropology, psychology, philosophy, politics, ethics and spirituality, to give insight into our own mystery, as no economic theory or no economist can say who we are, where have we come from or where we are going. Humankind must be respected as the centre of creation and not relegated by more short term economic interests. My question to my fellow academic economists is: Are you one of those "Recovering" economists, and if not, why not? So what is economics? What has gone wrong? What is to be done? I firmly believe that the director of research and his colleagues present there, should have provided Your Majesty with truthful and honest answers. However, given what I have read in the press, I do not believe this was the case. Their failure to do so, clearly goes a long way to prove the detachment of economists and the modern neo-liberal economics from the real world. They have turned our profession and subject into a comedy of errors, a dismal science of irrelevance. This is very sad indeed Your Majesty. An entire profession now appears to have suffered a collapse. Trust and confidence in my profession has all but been demolished, the “dismal science” at its worst. “There is a growing student protest movement against orthodox economics that could change the field as we know it.” On 2nd November 2011 at HarvardUniversity, students of Prof. N. Gregory Mankiw walked out of his class. “Mankiw is the former head of the Council of Economic Advisers for President George W. Bush and an advisor to Republican presidential candidate Mitt Romney. He is also the author of "Principles of Economics," the predominant textbook used in introductory economics classes worldwide. Not surprisingly, he has an extremely traditional, market-oriented view of the discipline. The students who walked out of Mankiw's class explained their reasoning in an open letter printed in the Harvard Political Review. It began with this declaration: "Today, we are walking out of your class, Economics 10, in order to express our discontent with the bias inherent in this introductory economics course. We are deeply concerned about the way that this bias affects students, the University, and our greater society. It is not only the world economy that is in crisis. The teaching of economics is in crisis too, and this crisis has consequences far beyond the university walls. What is taught shapes the minds of the next generation of policymakers, and therefore shapes the societies we live in. We, 42 associations of economics students from 19 different countries, believe it is time to reconsider the way economics is taught. We are dissatisfied with the dramatic narrowing of the curriculum that has taken place over the last couple of decades. This lack of intellectual diversity does not only restrain education and research. It limits our ability to contend with the multidimensional challenges of the 21st century – from financial stability, to food security and climate change. The real world should be brought back into the classroom, as well as debate and a pluralism of theories and methods. This will help renew the discipline and ultimately create a space in which solutions to society’s problems can be generated. “It is not only the world economy that is in crisis.The teaching of economics is in crisis too, and this crisis has consequences far beyond the university walls. What is taught shapes the minds of the next generation of policymakers, and therefore shapes the societies we live in. We, over 65 associations of economics students from over 30 different countries, believe it is time to reconsider the way economics is taught. We are dissatisfied with the dramatic narrowing of the curriculum that has taken place over the last couple of decades. This lack of intellectual diversity does not only restrain education and research. It limits our ability to contend with the multidimensional challenges of the 21st century - from financial stability, to food security and climate change. The real world should be brought back into the classroom, as well as debate and a pluralism of theories and methods. Such change will help renew the discipline and ultimately create a space in which solutions to society’s problems can be generated. United across borders, we call for a change of course. We do not claim to have the perfect answer, but we have no doubt that economics students will profit from exposure to different perspectives and ideas. Pluralism will not only help to enrich teaching and research and reinvigorate the discipline. More than this, pluralism carries the promise of bringing economics back into the service of society. Three forms of pluralism must be at the core of curricula: theoretical, methodological and interdisciplinary. Theoretical pluralism emphasizes the need to broaden the range of schools of thought represented in the curricula. It is not the particulars of any economic tradition we object to. Pluralism is not about choosing sides, but about encouraging intellectually rich debate and learning to critically contrast ideas. Where other disciplines embrace diversity and teach competing theories even when they are mutually incompatible, economics is often presented as a unified body of knowledge. Admittedly, the dominant tradition has internal variations. Yet, it is only one way of doing economics and of looking at the real world. Such uniformity is unheard of in other fields; nobody would take seriously a degree program in psychology that focuses only on Freudianism, or a politics program that focuses only on state socialism. 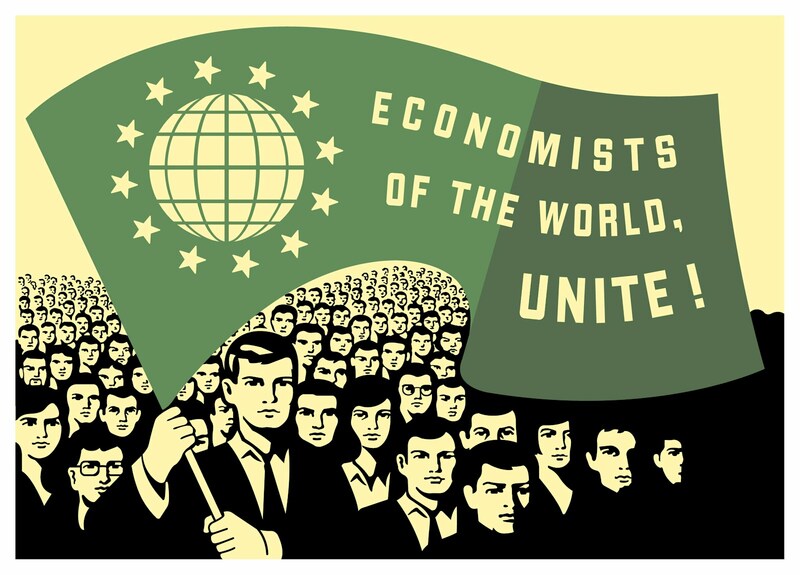 An inclusive and comprehensive economics education should promote balanced exposure to a variety of theoretical perspectives, from the commonly taught neoclassically-based approaches to the largely excluded classical, post-Keynesian, institutional, ecological, feminist, Marxist and Austrian traditions - among others. Most economics students graduate without ever encountering such diverse perspectives in the classroom. I firmly believe that the academic economists should show true leadership, wisdom and humility by supporting their students’ call for pluralism in economics. Now, the pertinent question is: Are the students being listened to? The short answer is: NO. Dogmatism and conservatism at departments of economics have won again. Academic economists are not prepared to show leadership, humility and wisdom. “Since last autumn, members of the university's Post-Crash Economics Society have been campaigning for reform of their narrow syllabus. They've put on their own lectures from non-mainstream, heterodox economists, even organising evening classes on bubbles, panics and crashes. You might think academics would be delighted to see such undergraduate engagement, or that economists would be swift to respond to the market. Not a bit of it. Manchester's economics faculty recently announced that it wouldn't renew the contract of the temporary lecturer of the bubbles course, and that students who wanted to learn about the crash would have to go to the business school. The most significant economics event of our lifetime isn't being taught in any depth at one of the largest economics faculties in the country. So what exactly is a Russell Group university teaching our future economists? Last month the Post-Crash members published a report on the deficiencies of the teaching they receive. It is thorough and thoughtful, and reports: "Tutorials consist of copying problem sets off the board rather than discussing economic ideas, and 18 out of 48 modules have 50% or more marks given by multiple choice." Students point out that they are trained to digest economic theory and regurgitate it in exams, but never to question the assumptions that underpin it. This isn't an education: it's a nine-grand lobotomy. The Manchester example is part of a much broader trend in which non-mainstream economists have been evicted from economics faculties and now hole up in geography departments or business schools. "Intellectual talibanisation" is how one renowned economist describes it in private. This isn't just bad for academia: the logical extension of the argument that you can only study economics in one way is that you can only run the economy in one way. Mainstream economics still has debates, but they tend to be technical in nature. The Nobel prize winner Paul Krugman has pointed to the recent work of Thomas Piketty as proof that mainstream economics is plenty wide-ranging enough. Yet when Piketty visited the Guardian last week, he complained that economists generate "sophisticated models with very little or no empirical basis … there's a lot of ideology and self-interest". Like so many other parts of the post-crash order, mainstream economists are liberal in theory but can be authoritarian in practice. The reason for that is brilliantly summed up by that non-economist Upton Sinclair: "It is difficult to get a man to understand something when his salary depends on his not understanding it." Values, Ethics, and the Common Good in MBA rankings: Where are they? Economists Stop teaching 'The World's Dumbest Idea'! Gaian Economics: Economics in University: Teaching or Propaganda? In February 2012 an international conference: "Economics education after the crisis: Are the graduate economists fit for purpose?" was organised by the UK Government Economic Service, the Bank of England and Royal Economic Society. One outcome of the Conference was the formation of a steering group, including both academics and employers of graduate economists, to discuss recommendations for reforms to the teaching of economics students in the UK, In this article, Diane summarises the issues discussed and sets out the group's recommendations. Why Economics, Economists and Economy Fail? To all those imagining a real economics, a wise economist and a just economy: Why Economists Fail? Values: To guard the hope, faith, love, courage, integrity, honesty, peace, justice, ecology, responsible leadership and humanity for the common good that can lead us forward, because they are the foundation for our greatest thoughts, actions, and the hope for our individual/collective sustainability and can never be cast asunder. Ronald Coase, professor of economics at the University of Chicago Law School and winner of the Nobel Prize in Economics, shortly before his death on September 2, 2013, published an article in the Harvard Business Review, ‘Saving economics from the economists’ (Coase & Wang, 2012). He argued that ‘the degree to which economics is isolated from the ordinary business of life is extraordinary and unfortunate’. ‘In the 20th century, economics identified itself as a theoretical approach of economization and gave up the real-world economy as its subject matter. It thus is not a tool the public turns to for enlightenment about how the economy operates…. It is time to reengage with the economy. Market economies springing up in China, India, Africa, and elsewhere herald unprecedented opportunities for economists to study how the market economy gains its resilience in societies with cultural, institutional, and organizational diversity. But knowledge will come only if economics can be reoriented to the study of man as he is and the economic system as it actually exists’. There are many heterodox economists who reject the dominant model of rational choice in ‘free’ markets, and want to reconnect the study of the economy to the real world; to make its findings more accessible to the public; and to place economic analysis within a framework that embraces humanity as a whole, the world we live in. This course, “Ubuntu Economics: Economics for Meaning, Social Justice and the Common Good” with its ‘human economy’ approach shares all these priorities. We believe that economic investigation should be accompanied by research into subjects such as anthropology, psychology, philosophy, politics, ethics and spirituality, to give insight into our own mystery, as no economic theory or no economist can say who we are, where have we come from or where we are going. Humankind must be respected as the centre of creation and not relegated by more short term economic interests. As it has been said, “Africa, the birthplace of the first human, may just hold the key to the survival of humanity. How fitting and appropriate that the country where homo erectus was first identified is also the birthplace of the philosophy that points the way toward a sustainable future for us, its offspring. No, I'm not talking about a new technology that will solve our dependence on non-renewable energy resources or that will stop climate change. Not directly at least. But I am talking about a way of seeing the world and all its inhabitants that, if adopted by a critical mass of human beings, would have a major impact in our ability to work together and ultimately shift the context of what it means to be a human being living on Planet Earth in the 21st century. The philosophy is simple enough. It does however require a massive shift in how we think about ourselves, how we see each other, and how we view every other living thing on the planet. Moreover, as it has been observed by many, people are not individuals, living in a state of independence. They are part of a community, living in relationships and interdependence. This is in stark contrast to neo-classicals who emphasise the individual and its egoism as the engine of economics and business. Ubuntu: The economic values. How do they differ from the neo-classical values? What can the West learn from African spirituality and ubuntu? Ubuntu business: What is it? What does Ubuntu tell us about?